Retaining walls are the most common solution to holding back earth and soil on a sloped property and also to prevent soil erosion. The construction of a retaining wall allows you to reclaim all of that lost land on a slope that would otherwise be unusable. 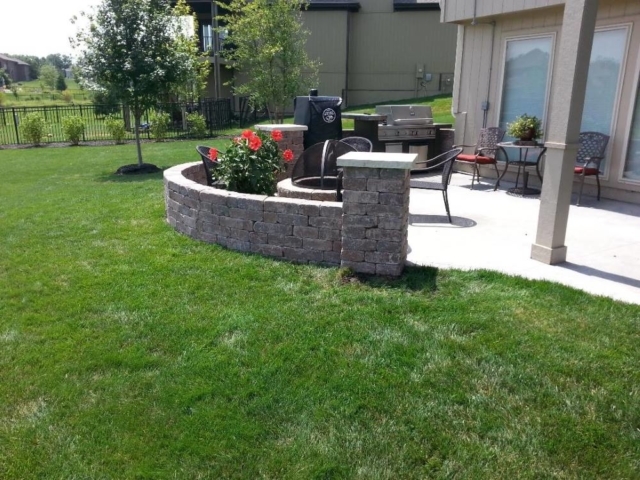 Retaining walls hold back the earth and soil and create new level areas for the construction of a parking spaces, gardens, patios, new lawns, outdoor living spaces, and more. 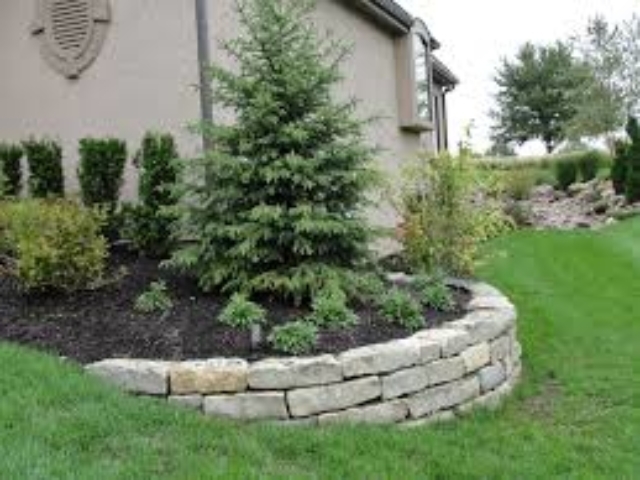 Retaining walls can be built using a variety of materials including boulders, blocks, bricks, natural stone or even wood such as landscape timbers. 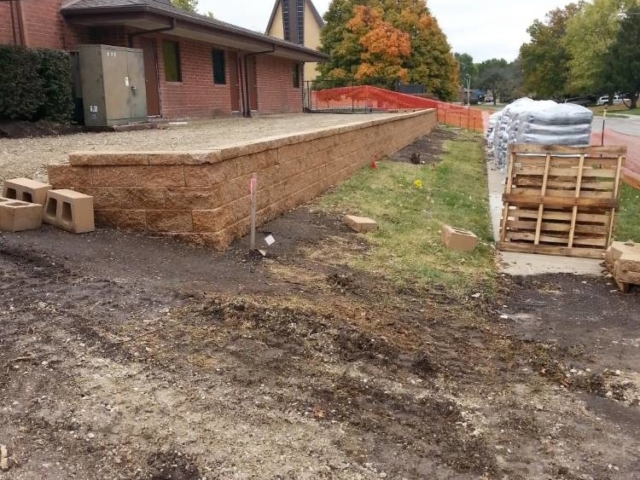 Why Do You Need A Retaining Wall On Your Property? Do you have a retaining wall that has failed and needs repair or rebuilding? Do you have a sloped property you’d like to reclaim? 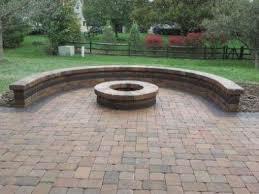 Do you want to create a new outdoor living space? Do you need to prevent soil erosion on your property? Green Acres Lawn & Landscape is a licensed and insured landscaping contractor serving the Kansas City Metro area. We specialize in hardscape construction including the construction of retaining walls made with block, brick, natural stone, boulders, or landscape timbers. 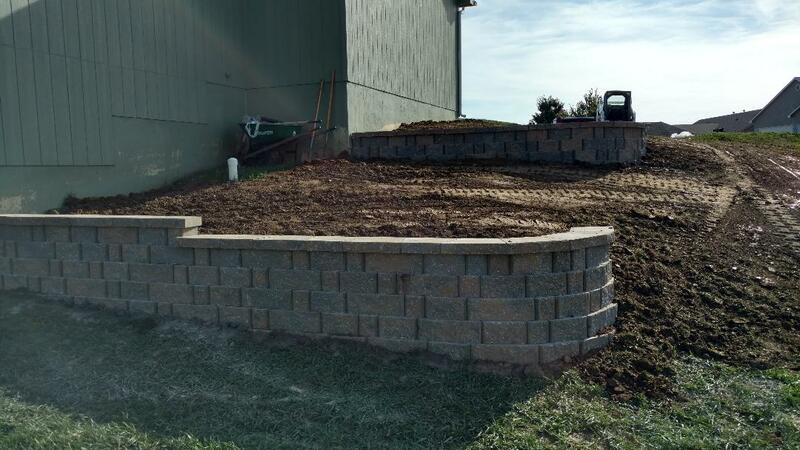 We design and build functional retaining walls for property owners who are looking for solutions on their sloped properties. 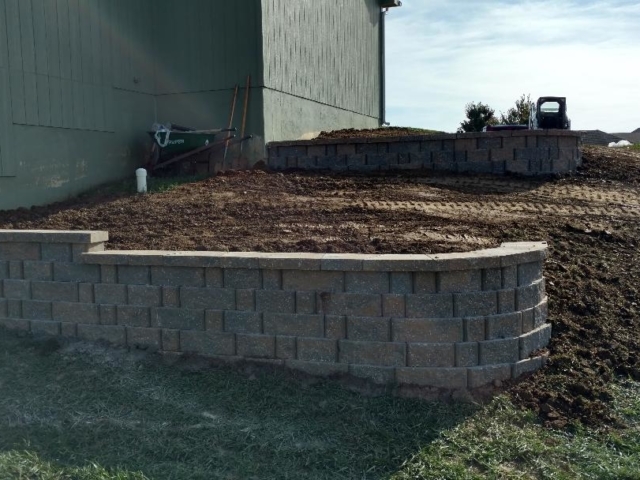 From a 50′ foot long stacked block retaining wall to hold back earth around a patio to large retaining walls for your terraced or sloping property we can help you design and build a retaining wall that meet your specific needs. 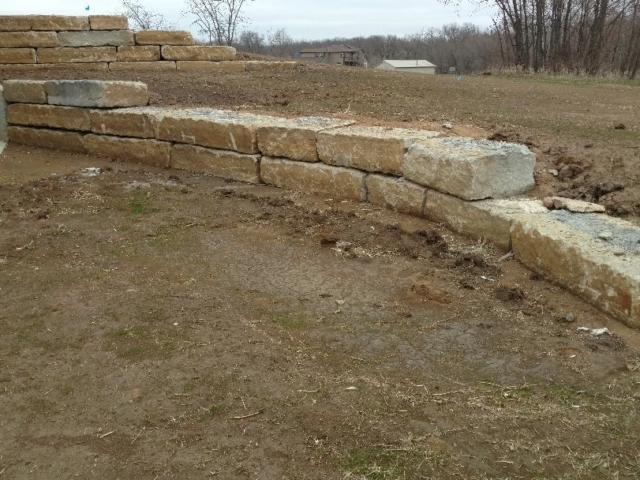 Do Retaining Walls Require Building Permits In Kansas City MO? 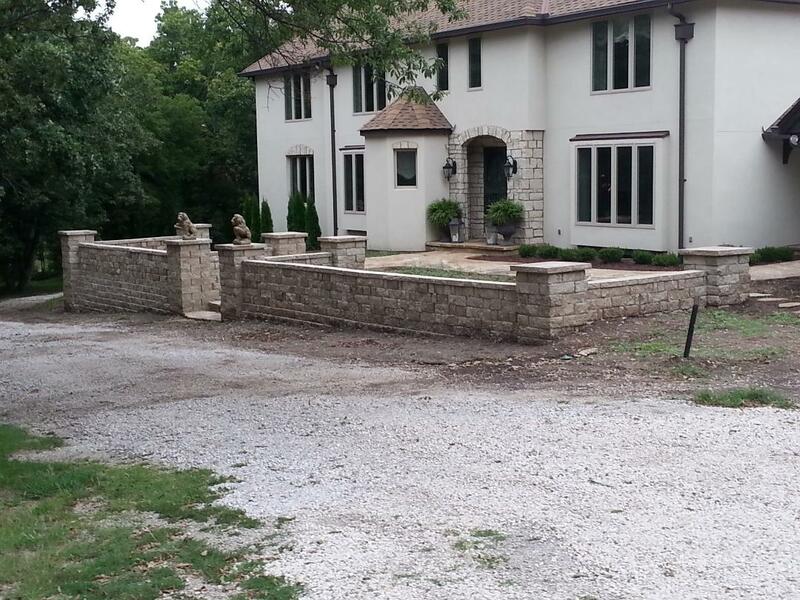 Here are some of the specifics with regards to building a retaining wall on your Kansas City property. Retaining walls in a front yard are limited to 48 inches in height (4 feet). Retaining walls under 24 inches (2 feet) don’t generally require building permits. Retaining walls over 48 inches (4 feet) do require a building permit. Any retaining walls over 6 feet in height will require a building permit AND an engineered design. Every property is different and these building codes only apply to Kansas City and not some of the surrounding cities and towns that we also service. It’s best to contact us or your local municipality to determine what the requirements are for your specific property. 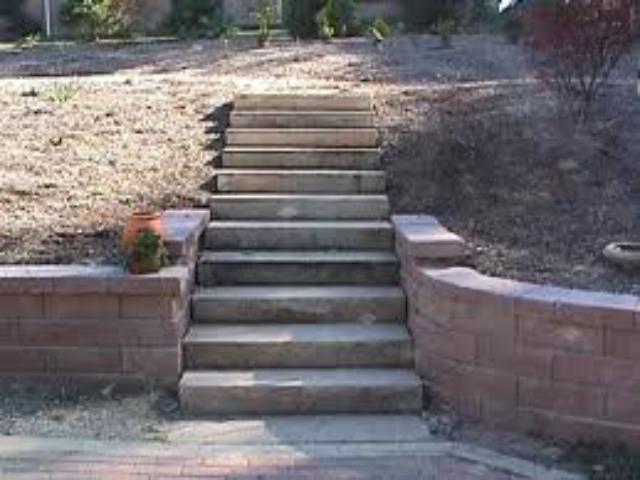 We are often contacted by potential customers who had an existing retaining wall that has failed. The most common failure is often due to poor drainage behind and below the wall. Retaining walls are designed to hold back earth from erosion and this also makes them excellent at holding back water as well. The water that builds up behind a retaining wall is referred to in the landscaping industry as “hydrostatic pressure” and the external force of the soil or fill held behind your retaining wall coupled with the weight of the water held behind it is often enough to seriously compromise the integrity of your wall which can lead to failures such as bulging and even a total collapse. 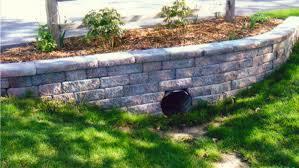 Any well-built retaining wall must incorporate good drainage if it’s going to last for many years. 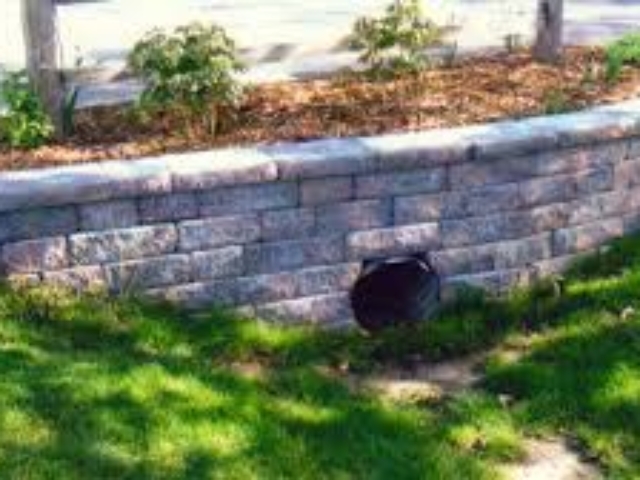 Depending on the type of material being used to build your retaining wall there are a variety of ways to integrate sufficient drainage such as lateral drains, french drains, weeping drains, and blanket drains. Another way to control drainage is to use very granular soil or fill behind and below the wall which can also disperse the water rather than hold it in. 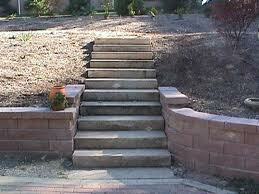 Surcharge is the amount of weight added to the ground above or on top of a retaining wall. This could be dirt, rock, another retaining wall in the case of a tiered wall, or even parking a vehicle such as a boat or RV on top of the earth below the wall. Retaining walls must be designed and built to handle the surcharge that will applied or you risk having a wall failure. There are many different materials to build your retaining wall out of. Below are some of the more popular materials in our area because of their availability. Retaining walls over a certain height or for specific purposes (such as tiered walls) often need to be engineered to in order to be approved for a building permit. 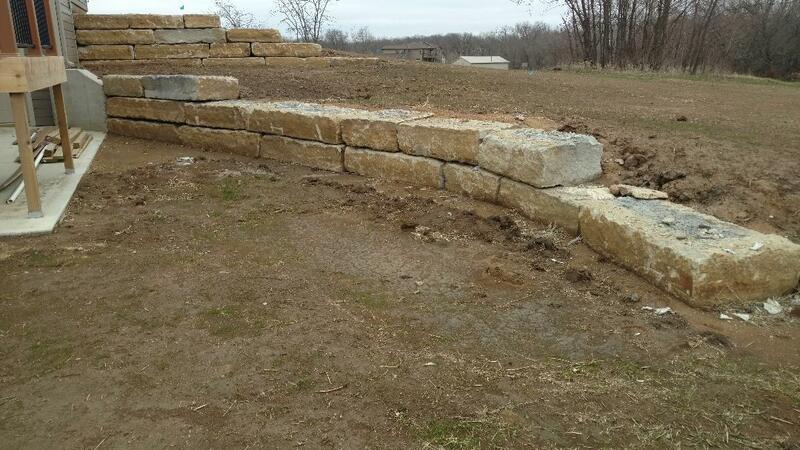 This can be expensive if you’re not using an engineered retaining wall system. With an engineered retaining wall system the manufacturer has engineered the wall for specific surcharges and soil load depending on the height and material of the wall so long as very specific methods of construction are followed. If you’re using an engineered retaining wall system it can eliminate the expense and time required to have an engineering firm sign-off on your design, saving time and saving money. There are many different engineered retaining wall systems on the market and if this is the route you’d like to go we can help you choose the best one for your needs. When building a retaining wall on your property that is designed to hold back soil and earth from erosion there is very little margin for error so when required we work directly with engineers if your wall is over 6 feet in height or we can use a pre-engineered system as we’ve described above. We take into account any surcharges (weight) the wall might be exposed to. 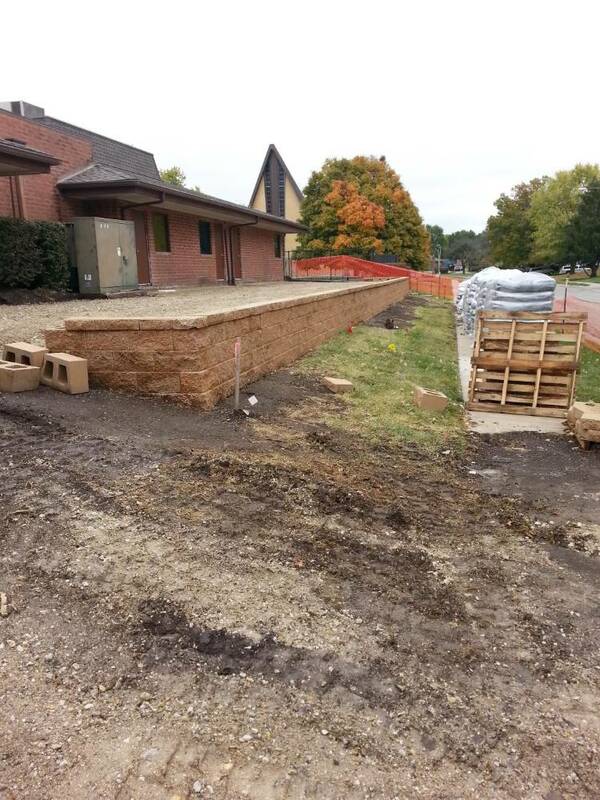 The amount of work required to build a retaining wall can vary widely from project to project. The slope of your property, the amount of earth your retaining wall must hold back, any surcharges the wall might have, and the overall accessibility of your property will all contribute to the final cost. 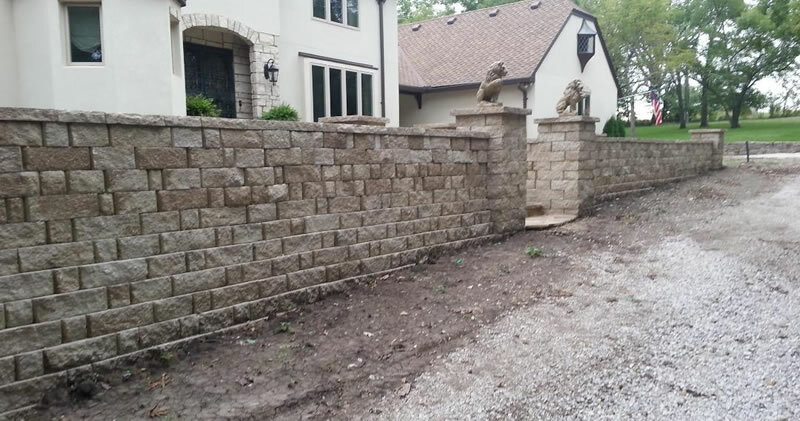 If you’d like to schedule a consultation for your retaining wall construction project please give us a call (913) 422-5111 or fill out our online contact form and we’ll get back to you right away.